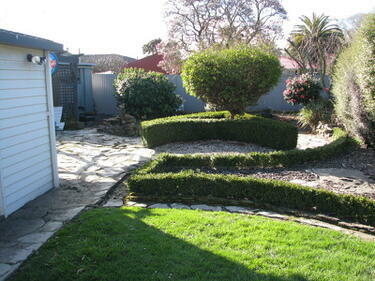 An over-grown hedge along an abandoned property on Waireka Lane, Bexley. 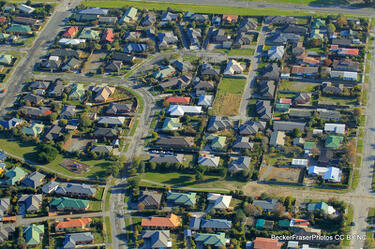 Photograph captioned by BeckerFraserPhotos, "Morganwood St and Brynn Lane, Bexley". 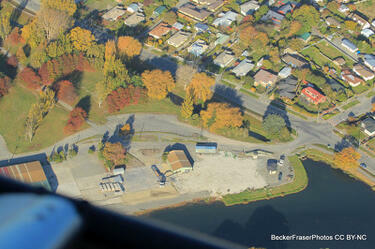 Photograph captioned by BeckerFraserPhotos, "Kerrs Reach rowing facility". 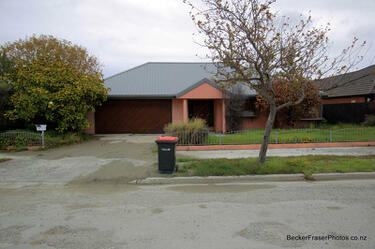 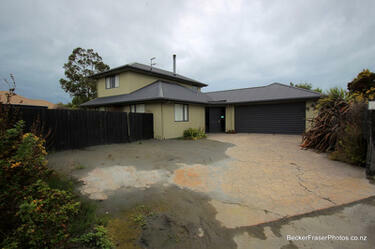 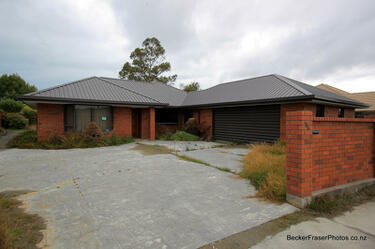 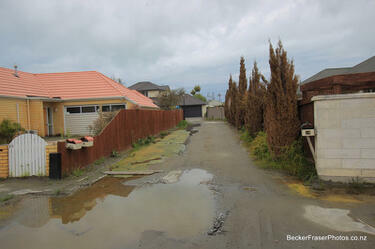 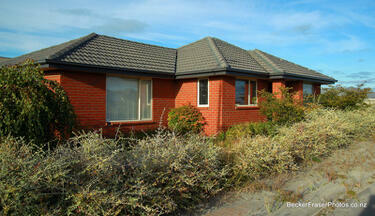 Photograph captioned by BeckerFraserPhotos, "9 Waygreen Avenue in New Brighton, now red zoned land". 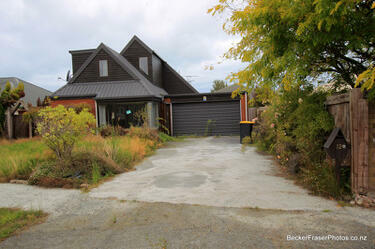 Photograph captioned by BeckerFraserPhotos, "28 Waygreen Avenue in New Brighton, now red zoned land". 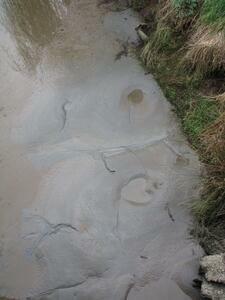 A photograph of liquefaction on the ground near the Kaiapoi River. 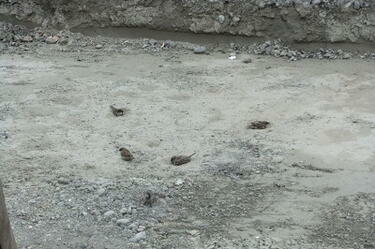 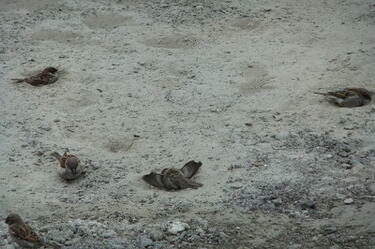 A photograph of sparrows bathing themselves in liquefaction silt. 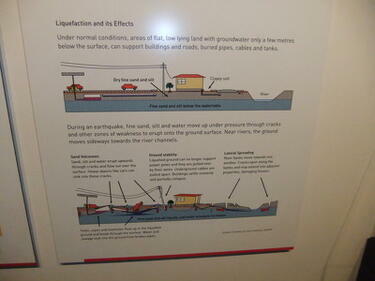 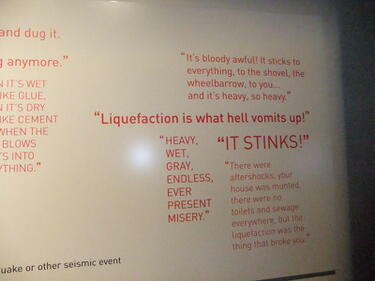 A photograph of a sign about liquefaction in the Canterbury Quakes exhibition at the Canterbury Museum. 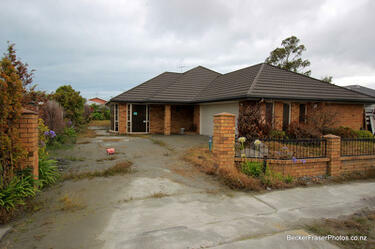 A photograph of liquefaction in a residential garden. 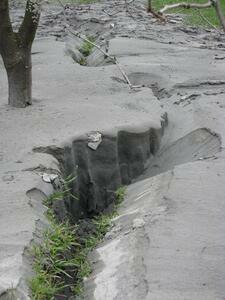 A photograph of liquefaction on the banks of the Kaiapoi River. 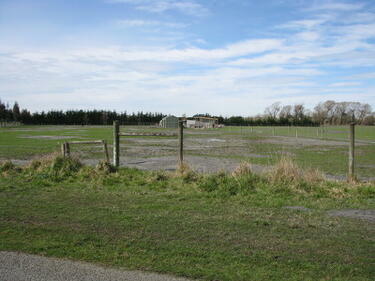 A photograph of liquefaction in a paddock. 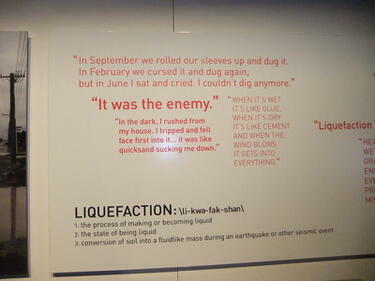 A photograph of liquefaction next to a motorway in Christchurch. 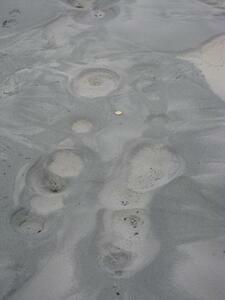 A gold coin has been placed on top as a reference for size. 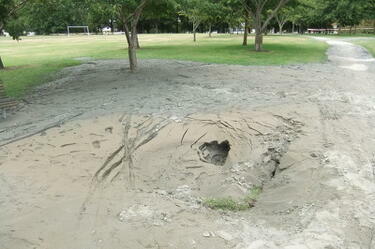 A photograph of mud and liquefaction in Hagley Park following the 22 February 2011 earthquake.